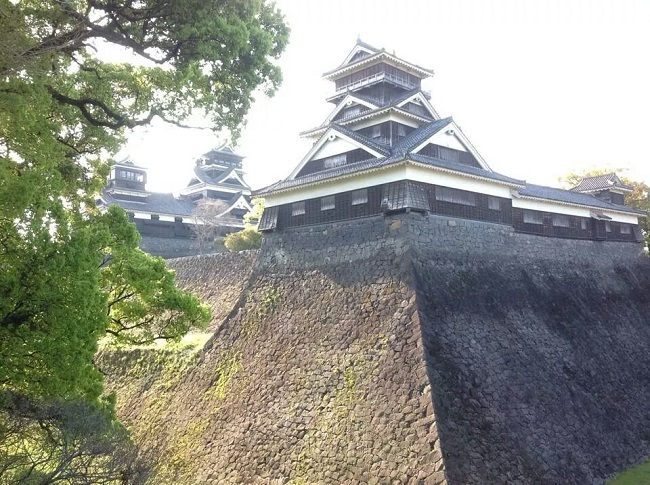 Kato Kiyomasa Castle of struggle, stonewall such as Mushakaeshi from Kumamoto castle is a wonderful. 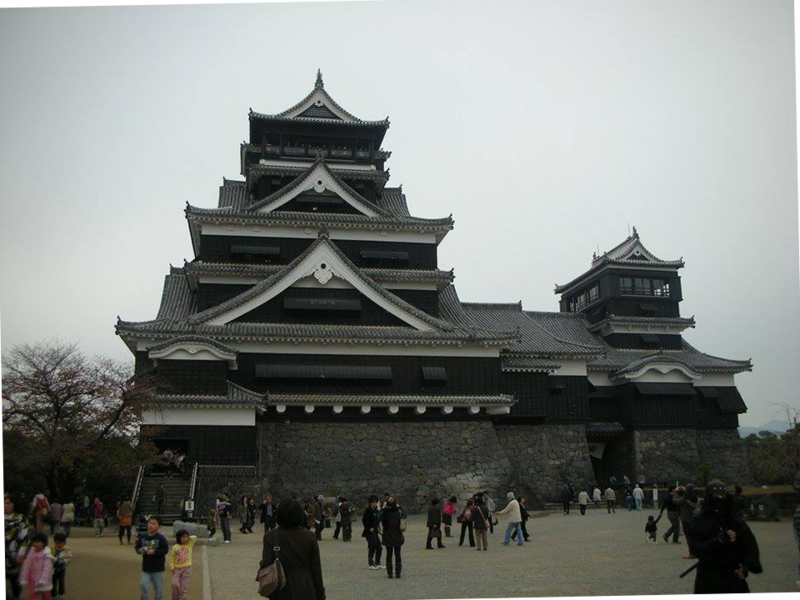 Kumamoto Castle is a castle present in Kumamoto city, Kumamoto Prefecture. 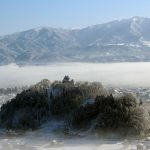 Another name is Ginnan Castle (Ginnan Jyou). 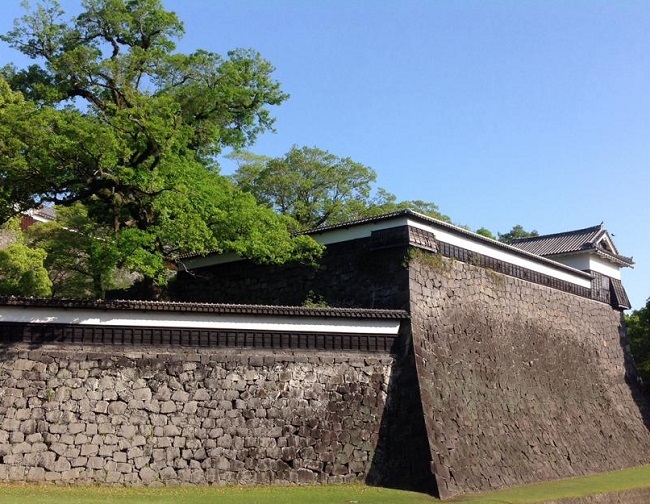 In the beginning, around 1469 the family of Kikuchi of Higo guardian built a castle. 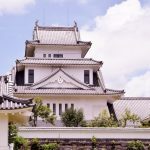 Later, Kikuchi, a guardian of Higo (present: Kumamoto Prefecture) took the castle but conflicted with “Otomo Yoshishige (Sourin)” of Buzen, and since then the co-operative “Chikafuyu castle” was the daimyo castle. 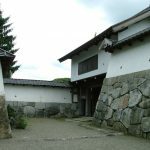 In 1587 (Tensho 15th year), when the Toyotomi Hideyoshi’s conquest of Kyushu, the Oyafuyu’s grandson, Jo Hisamoto who came under Shimazu of Satsuma surrendered the castle and moved to Chikugo country. 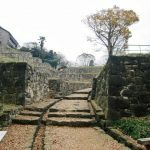 Hideyoshi designated the Kagamoto castle of Higo as the daimyo “Sasa Narisama” who was a colleague in the Oda administration period. Narimasa Sasa who newly entered Kumamoto castle forcibly carries out the inspection contrary to the instruction of Hideyoshi, causing a rebellion of the Higo National. At this time Kumamoto Castle suffered a tremor from the public, but Jinbo Ujiharu of the castle keeper protected it, and falling of castle was avoided. In 1588 (Tensho 16th), Shigemasa was ordered to bear the responsibility of this revolt and was ordered to cut open his belly and commit suicide, replacing him with Kiyomasa Kato became the lord with 195,000 Jewels in Higo’s northern half country and entered Kumamoto castle. 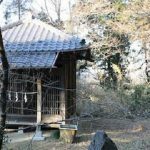 Kiyomasa Kato starts building a new castle in Chausuyama hill where there was Kumamoto castle from 1591 (Tensho 19th year). 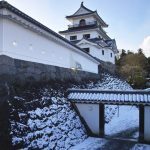 Castle tower is completed around 1600 (Keicho 5th year), and Higo Ichikuni is the hometown of Battle of Sekigahara and Kiyomasa becomes the lord with 520,000 Jewels. 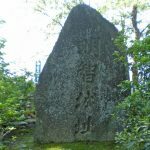 ※ Before the battle of Sekigahara, the Higo Ichikuni was a Konishi Yukinaga’s headquarters, but since Higo was defeated by the West Army, Ichikuni Higo was given to Kato Kiyomasa. 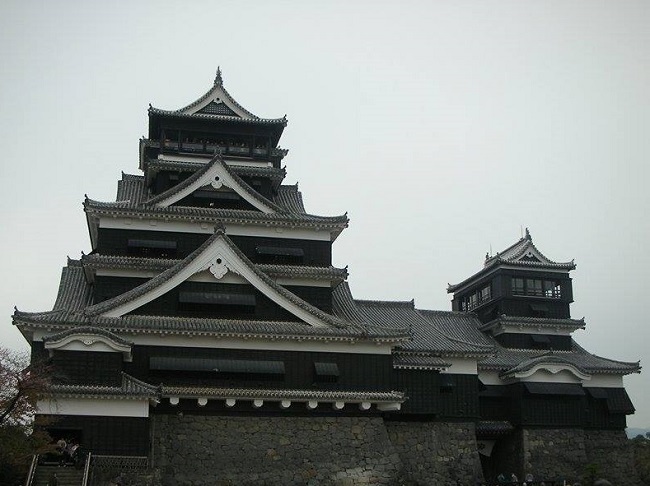 In 1606 (Keicho 11th year) the castle was completed, and the following year “Kumamoto” was changed to “Kumamoto”. 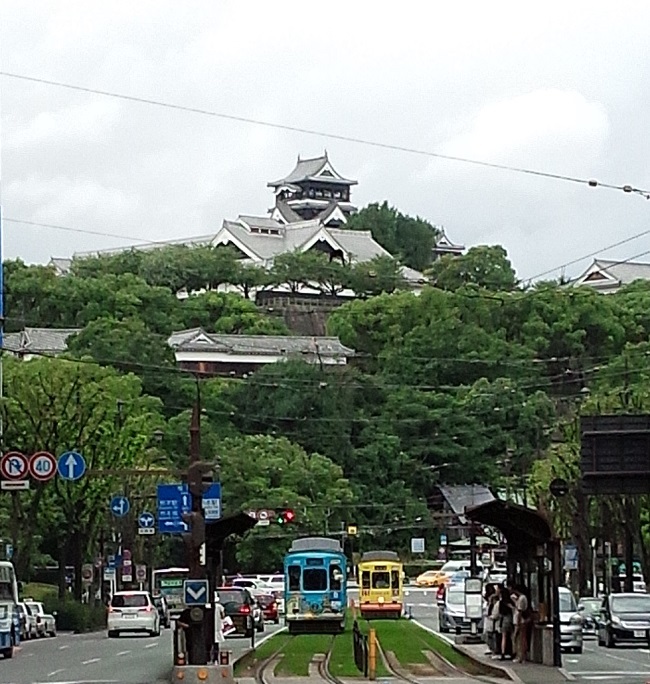 This is the current Kumamoto Castle. From 1610 (Keicho 15th year), Inner citadel palace building was done in a form crossing a passage in Inner citadel divided into north and south by a passage. As a result of this, in order to go up to the castle, we have to go through the underground passage under the Inner citadel palace. In 1632 (9th year of Kansai), Tadatoshi Hosokawa who was lord of the castle owing to the change of Tadahiro Kato, a child of Kiyomasa, became the lord of Higo with 540,000 Jewels and entered Kumamoto Castle. 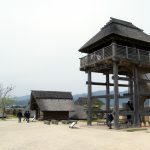 At this time Tadatoshi climbed up to the castle, and it is told that it worshiped towards the direction of Honmyoji, where there is a shrine to worship Kiyomasa. 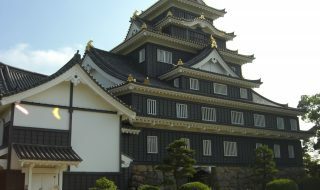 In the end of the reign of the Kato family, due to the exhaustion of the clan finances and the house disturbance, the repair of the castle remained. 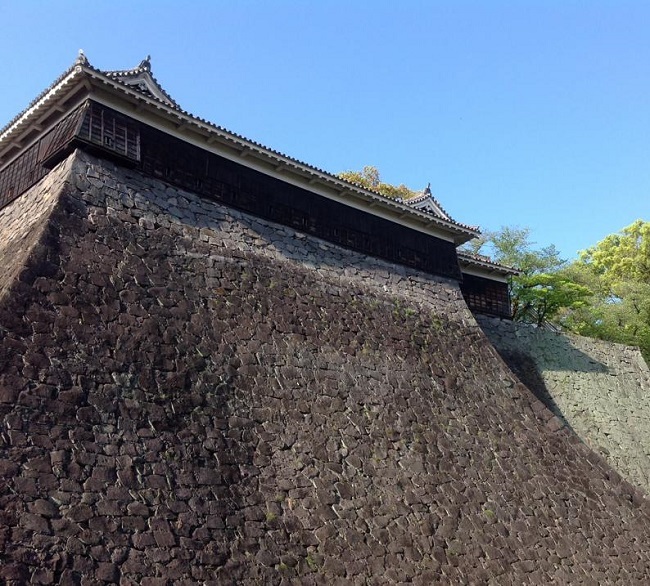 Hosokawa Tadatoshi offers the shogunate repair of Kumamoto castle immediately after entering. This repair is not limited to repairing buildings, as well as addition of Inner citadel, the domain that is currently found is completed in this repair.